Does your current JAMB result slip have your passport on it? Does it look similar to the one currently presented at the side of this write-up? If your answer is "NO", then let us help you get your original Jamb Result Slip and send it to your email inbox within the next 2hrs. 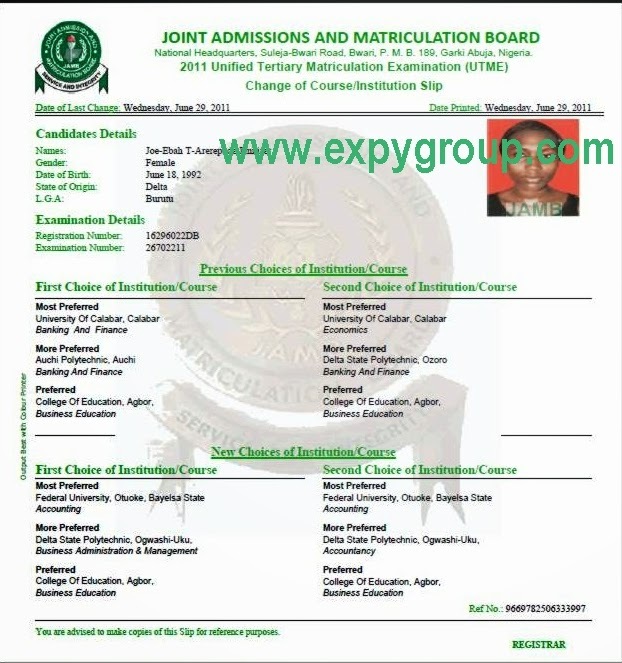 We can provide you with the original JAMB UTME Result Slip from 2009 to 2017 straight into your email box. Before you get started you’ll need to check your admission status especially for those who want to print Admission letter.